Another day, another anime post or three on TAY. Or maybe an Ani-TAY mention. TAYnami anime discussion? Or maybe a series of amusing anime-related gifs in the Graveyard Shift or Open Forum. Anime, everywhere you look. Now now, before you break out the torches and pitchforks, this isn't a call to end any of this. I'm not complaining, so much as saying it feel hard to participate in many of these since I kind of fell out of the anime world 10+ years ago. And I'm coming to you for help breaking back in to the world of anime. I first got into anime back just around the time of the DBZ craze of the early '90s. A friend brought over a VHS copy of Vampire Hunter D. Killer half vamp with a talking hand who takes on the demon armies of Dracula, all while simultaneously saving the Damsel and turning down her advances? Yes, please! We followed DBZ like it was the greatest thing in the world until somewhere in the middle of the Buu saga, when most of us finally tired of formula. We moved on to things like The Big O, Outlaw Star,and Cowboy Bebop. We discovered Princess Mononoke and Record of Lodoss War. Nausicaa of The Valley of the Wind became a much played favorite. But, as often happens, life eventually became busy. 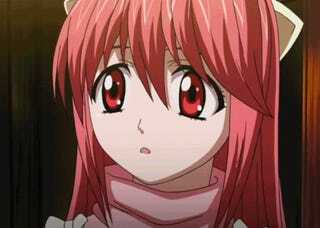 Sometime after the release of Elfen Lied, my first daughter was born. At the time, I worked long hours for a local cabinet company. Between work, family, personal issues of the time, video games, anime, and tabletop gaming, something had to give. My anime viewing dropped to nearly negligible. I caught random episodes of Shin Chan when Adult Swim played them and I managed to get home, but that was about it. This went on for a long time, and I started comfortably living my life sans anime. Even when my time eventually became more free, I'd lived without anime for so long, that I didn't even really consider getting back into it. But TAY has slowly begun to change that. I see mentions and in jokes everywhere. 90% of TAY avatars are probably anime characters of one sort or another. And I feel myself wanting to get back in. I want to be able to use funny anime gifs and know what I'm talking about. I want to see the question "What did you guys think of (insert anime name here)?" and be able to answer it. But where does one even start? I've asked this question before, in a general sense, in OFs and to friends. I've had recommendations here and there. High School of the Dead was once recommended to me, but it's just too much too much. Fairy Tale was another, and it was cute, but didn't really grab my attention. I'm making this a full post in the hopes of getting a wider variety of answers. What would you, my fellow TAYtor Tots, recommend to someone with my viewing history that hasn't been "into" anime in probably a decade? Preferably something easily streamed, from Netflix or Hulu Plus.